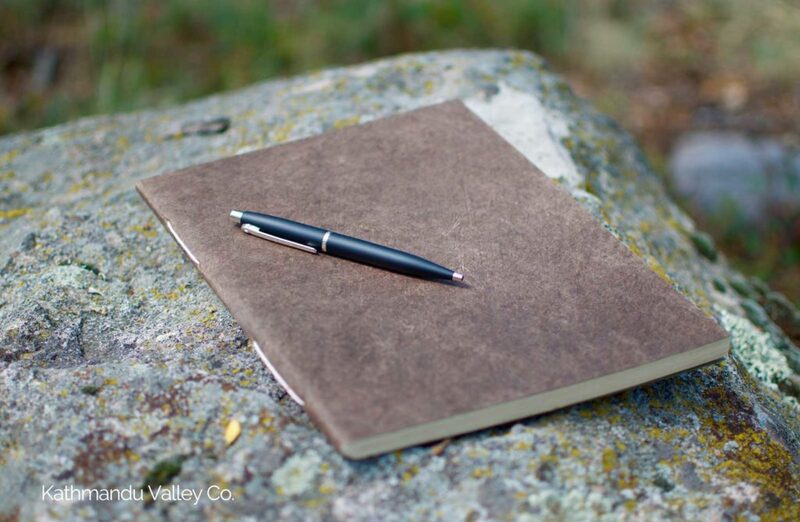 The New Softcover Notebook from Kathmandu Valley Co.
From the high Himalayas, comes a new notebook. The Nepali Companion is unique in not only it’s lokta paper pages, but also it’s vegetable-dyed, lokta paper cover. 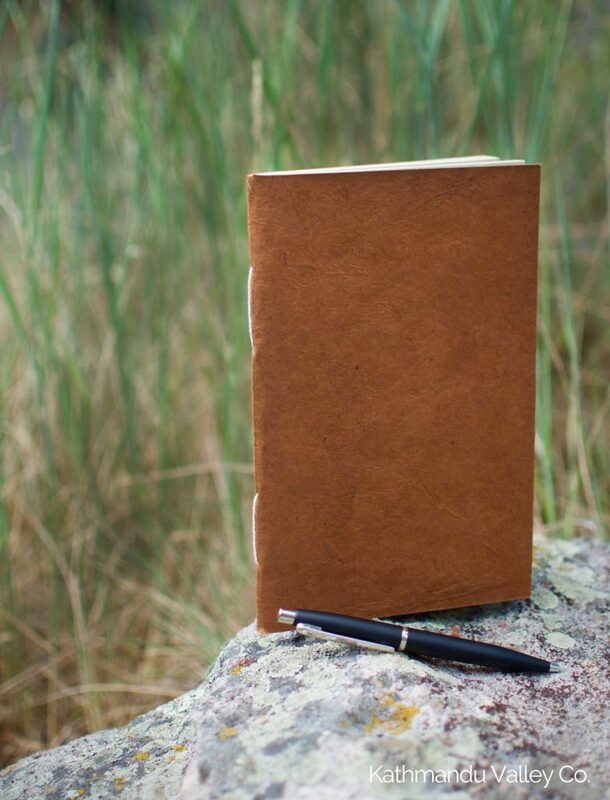 Perhaps you need a journal that’s easy to take with you on a trip, as a field book, to a meeting, or to a class. The Companion Notebook is a great choice because of it’s slim design. Lokta paper has been a product of the Himalayas for over 1,000 years. 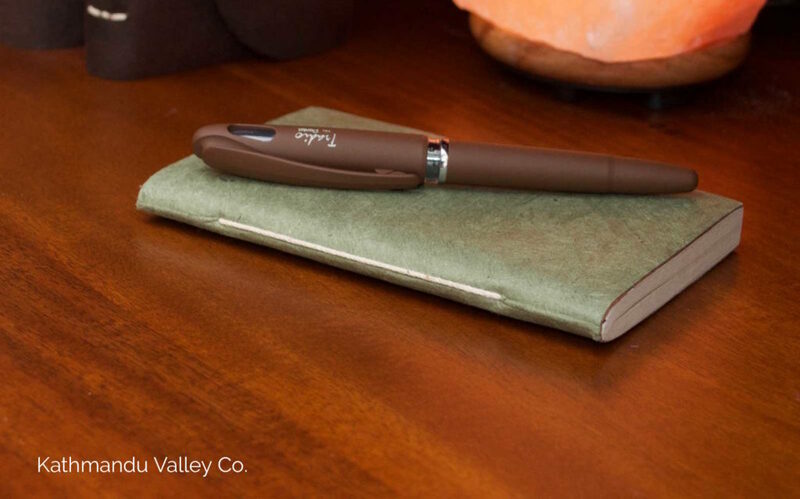 The paper in the Companion Notebook is handmade in the Himalayas. Read more about Lokta Paper. It’s available in three vegetable-dyed soft colors: Terra Cotta, Sage, Dark Walnut. No two journals will be the same. The vegetable dye process is not like using synthetic dyes which can match a specific color number every time. The vegetable dyes we use are mixed by artisans, not machines, and the colors can vary from batch to batch making each journal a unique creation full of character and individual style. This is a notebook you’ll want to take with you to sketch, take notes, or to capture the moment with words or drawings. View the Nepali Companion Lokta Paper Notebook here.